These are one of the snappiest, most alert breeds on the poultry list. Of rather small size, with light but sweeping, graceful outlines, they are elegant and beautiful. They have a kind of bright cheerfulness about them when foraging over open range and they love this kind of situation. The lustrous greenish black spangles on silvery white plumage give them a perky polkadot look. With neat rose combs, white ear lobes, leaden blue shanks and toes, these are excellent small birds for both beauty and utility. 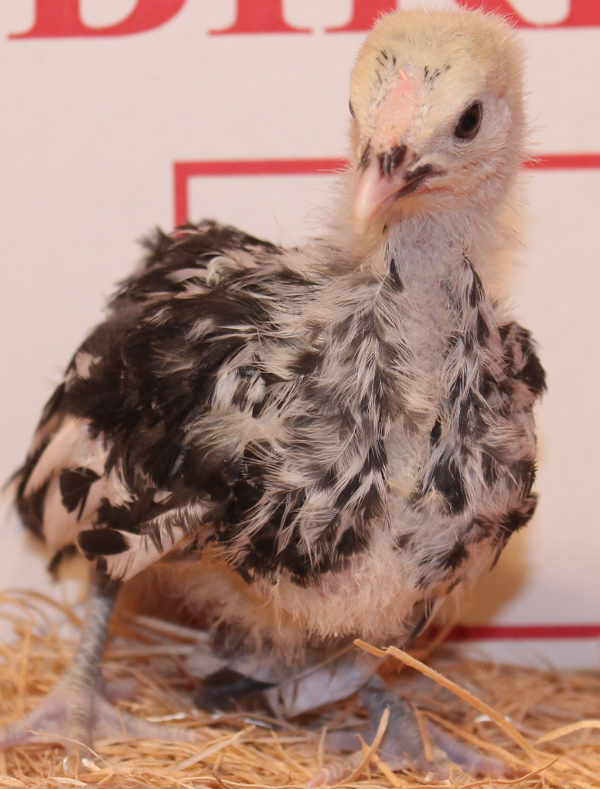 Baby chicks are a silver gray with parallel dark and light stripes on the back.